Infectious Disease Book from C.H.I.P.S. Infectious Disease Surveillance covers many major disease surveillance systems, drawing on the experiences of leading experts from around the world. Infectious Disease Surveillance also covers the use of modern technologies to track infectious diseases, including molecular epidemiologic techniques and electronic means for data collection and distribution. 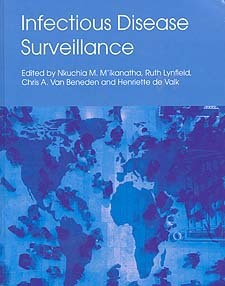 Infectious Disease Surveillance concludes with a review of historical lessons learned from the application of surveillance in disease control�for smallpox in the 1970s and for severe acute respiratory syndrome (SARS) in 2003. Seasonal and Pandemic Influenza Surveillance.